Spend the afternoon savoring tempting sweets as you learn more about books, Shakespeare's kitchen and feasting in the Renaissance. Francine Segan, a renowned food historian and James Beard-nominated author of six books, will give a talk sprinkled with tempting tidbits on the fanciful foods, intriguing table manners, etiquette and unusual dining customs during Elizabethan times. She is a regular on the Food Network, PBS, Discovery and History Channels and is the host of “Americans Who Love Italy” NYC’s popular TV show. 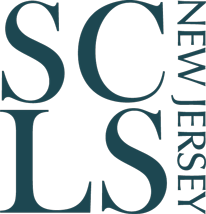 The second part of the event will feature book maven Yvonne Selander, Collection Development supervisor for SCLSNJ, who will talk about the best books of 2018 with a sneak peek into 2019 releases. A portion of sales from all books purchased during the Book Lovers Tea event will be donated to the Library. Drawings and giveaways will be available. Please remember to bring your own teacup and saucer!